A lot of you have been asking how to get started with couponing. I thought I would address it as a new post so everyone could get an idea. I started using coupons early 2011 after we bought our first house. For just the two of us I was spending upwards of $400 a month on groceries. It wasn’t even like we were eating healthy or organic food either! I was just getting into cooking and trying new recipes. We were getting married that year and my husband was going to be starting a master’s degree so I knew I had to get it under control and soon. I had heard about people saving tons of money using coupons and knew I could too if I just knew how. I mean, I knew how to use coupons, but I didn’t know how to use them to save money. I was buying things that I wouldn’t normally buy just because I had a coupon for it. Or I was buying multiples of items that I would normally buy one of, just because the coupon I had said I needed 2. It didn’t take me long to realize that I wasn’t doing myself or our budget any favors by doing this. So, I went to Google. I came across these videos from a I Am That Lady where she actually broke everything down so I could understand. She explained what the different types of coupons were, where to get them, and most importantly, the best way to use them! 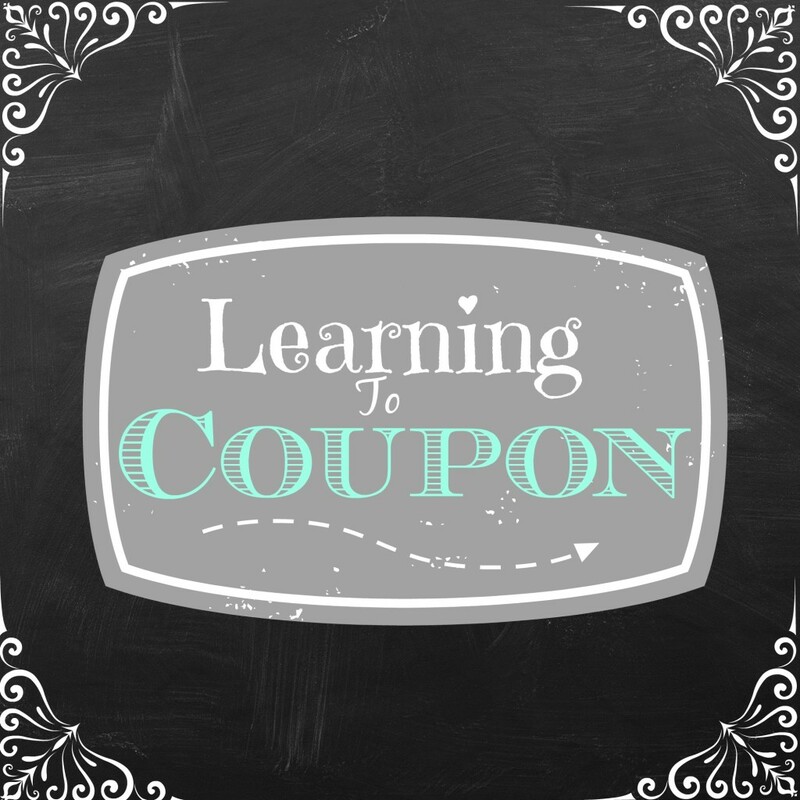 If you are serious about wanting to learn about couponing I think this is a GREAT place to start! 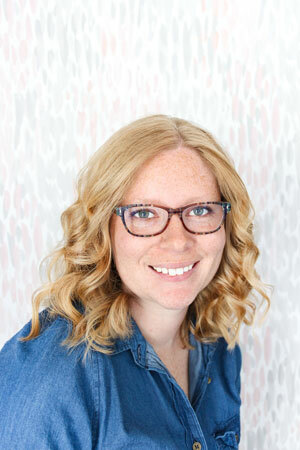 I still visit this blog daily just to learn about new deals, see store matchups, and I actually feel like I know her after following her and her family for the last 3 years! Once I had a better grasp on things, I was actually starting to save us money. It was a little at first, but as I kept at it, I saved us more and more. My biggest savings month I think I only spent $125! That was a HUGE improvement! I can’t say that I am still saving this much money, as I have become rather lazy about using coupons and hunting the best deals. I am just burnt out by the effort it takes here in Austin to find good deals. In Chattanooga it was like they fell right in my lap with Publix and Bi-Lo. Not only that, but my husband and I eat a lot more fresh and organic produce, and a lot less processed foods. Let’s face it, the best deals are usually on processed foods. That’s not to say you can never get coupons for produce, meat, or organic products though. Instead of focusing a lot of my couponing now a days on food, I focus more on household items and pet food. So let’s break it down. There are some basic rules you need to know before getting started. The first is having an understanding of sales cycles: Every product goes on sale. E.V.E.R.Y.S.I.N.G.L.E.O.N.E. I don’t care if it’s a Prime Rib Roast, or a box of mac ‘n’ cheese. Eventually these items go on sale–your job is to know when! Most item’s sale cycles are every 6-8 weeks. This means your favorite box of cereal *generally* will go on sale at it’s rock bottom price every 6-8 weeks. Now these cycles can be different based on what time of year and what store. For example, you will find that oatmeal, yogurt, diet shakes, energy bars and the like will be on sale more often right after the New Year. This is because most American’s start their yearly diet in January. Likewise, you will find grilling items like hotdogs, ketchup, mustard, charcoal, meat tenderizers etc. go on sale more often in the peak summer months. Ham, Roasts and Turkeys go on sale around the major holidays: Thanksgiving, Christmas, and Easter. The best way to find out what’s on sale is to check the sales flyers every week. This will help you develop an idea of the cycles. When something is at it’s rock bottom price; STOCK UP! 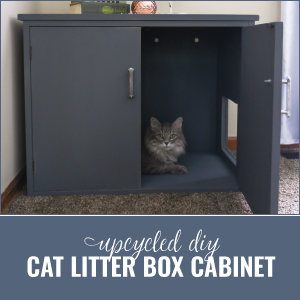 If you have the space, get enough of that item to last you until the next sales cycle. Doing this alone will inevitably save you a TON of money! The next step in this process is to know your store’s coupon policy! This is super important! Every store is different when it comes to what coupons they accept, how many of each and if they stack, or double coupons. Some grocery stores will accept a Store and a Manufacturer coupon on one item. Some will even accept competitor store coupons! Also, some stores will double manufacturer coupons up to a certain amount. Visit the store’s website to find and print their coupon policy. 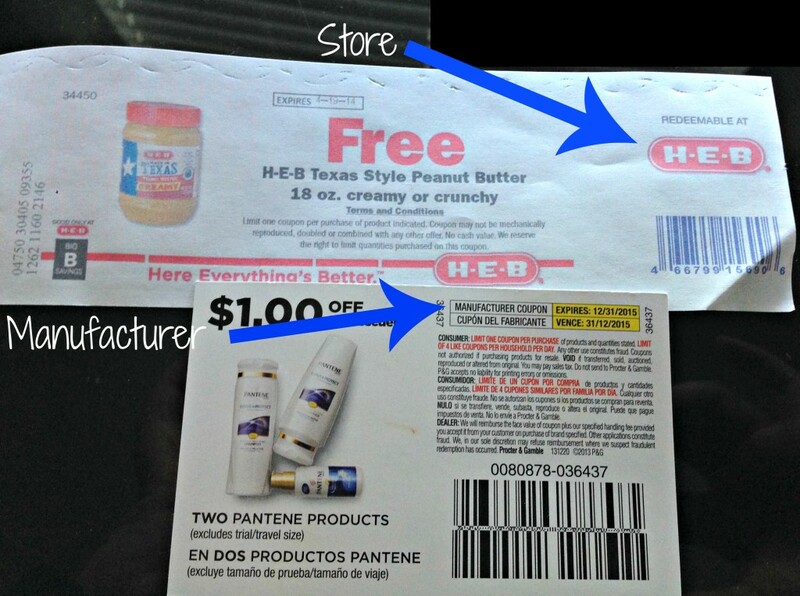 Keep it with your coupons so you can easily access it during a shopping trip. Are you starting to understand this coupon business a little more? Next you will want to find a list of coupon matchups! The 2 sites I use are I Am THAT Lady and Southern Savers. These guys already have the hard part done for you–matching coupons to a sale–you just have to get the coupons and go to the store! Now that you know HOW to use the coupons, let’s figure out WHERE you can find them! As most of you know, the Sunday paper is the most basic place to find coupons. These are MANUFACTURER coupons, although sometimes you may find a local STORE coupon as well. These coupons pages are called “inserts”. There are 3 different types–Smart Source(SS), Red Plum(RP) and P&G(PG). Some weeks you will get only one of these, some weeks you will get all 3, sometimes you will get 2 of one and none of the others, and every other available combination. The PG inserts will USUALLY come out on the first Sunday of the month. There are exceptions to this. Other places you can find coupons are at the customer service counters. Sometimes you will find STORE coupons and coupon booklets here. Generally they will just have them sitting out, but it never hurts to ask if you don’t see any. You can also find MANUFACTURER coupons on products in the store, as well as in coupon dispensers in store. Next to the Sunday paper, you will find the majority of your coupons online. Here’s a list of the sites I print mine from. *Please note, you will have to install the coupon printer to print these. Most printable coupons you can print twice by hitting the back button two times after the first print. 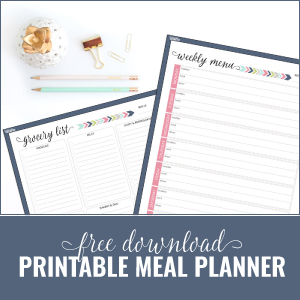 Printable coupons will reset on the first of the month, so make sure to check back! Binder: This is a little bit more pricey, but it keeps things so much better organized. I have this Case-it Dual Binder that my wonderful husband bought me for my birthday 2 years ago. Of course, you don’t need this fancy schmancy one, you can just get a plain old 3 ring binder at Target. You will also need clear page protectors to hold all of the coupons. I’ve used Baseball Card Page Protectors as well as Coupon Page Protectors . 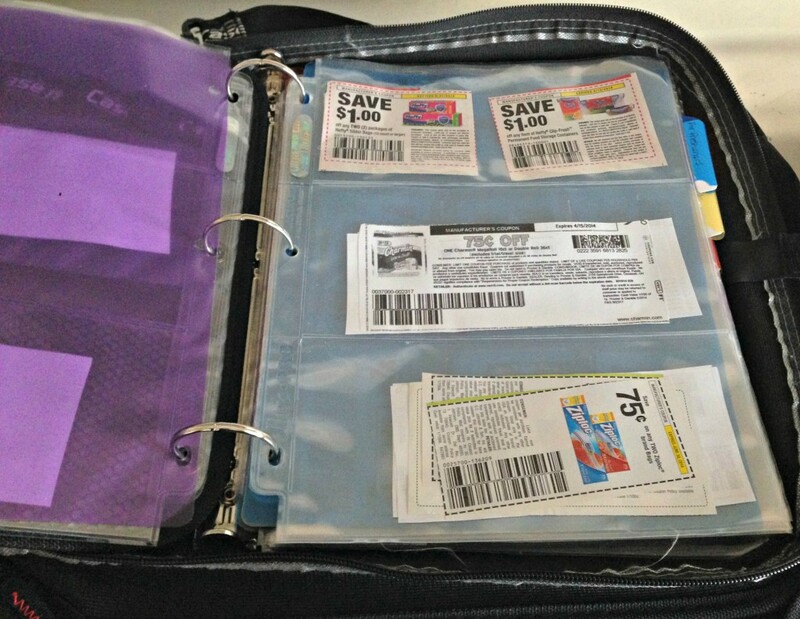 You will also need dividers to separate the coupons into different categories. What I love most about this binder is that there are 2 rings. One side I use for food items, and the other side I use for personal and toiletry items. It also has a strap so you can carry it like your purse! By Insert: Some people will file each of their Sunday Paper inserts by date and type. Then they will just clip the coupons they need for their grocery trip and file the rest away. 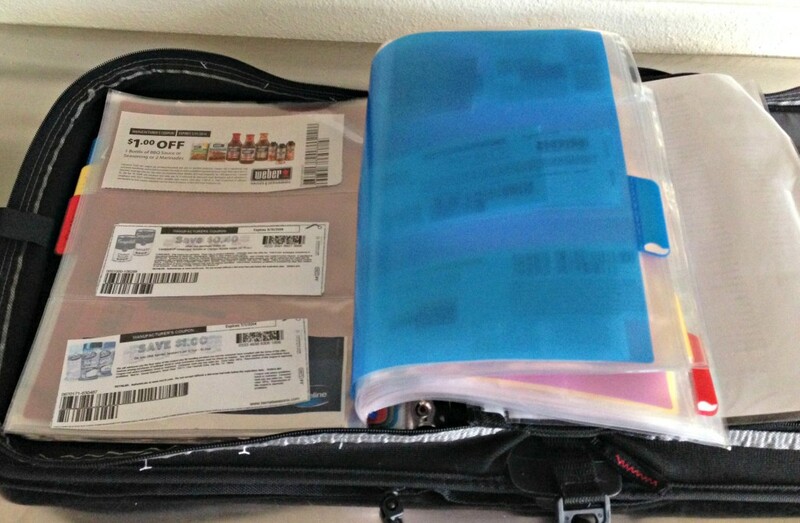 While this does save a lot of time and energy in clipping coupons, I still find myself needing a method of organizing my printed coupons. If anyone has a way they do it so that I don’t have to clip every single coupon please let me know! I LOVE saving time! OK! Now you have all of the steps to get you started in your couponing journey! Of course, this is just the tip of the iceberg, I haven’t even touched drugstores, catalinas, and gift card deals, but that will have to wait for another post. I don’t want to overwhelm you with everything all at once! Just remember, when you are first starting out, it’s not realistic to knock your spending down by 70% or more. You will start out with small savings and that’s OK. The big picture here is that you are saving money! As you get better at it and you start to know what is a good sale price and what isn’t, you will save more and more. Remember, “Extreme Couponing” is not realistic, so going out with the mindset of getting your groceries for free will just frustrate and discourage you. Sure you can go out and get some items for free, but to get a whole cart of groceries that you can actually turn into a meal for pennies is just not going to happen. Stay positive and keep at it. Practice makes perfect! Thank so much for the mention!!! I am so thrilled that you found my videos and I was able to pass on the information to you!! Keep up the good work! 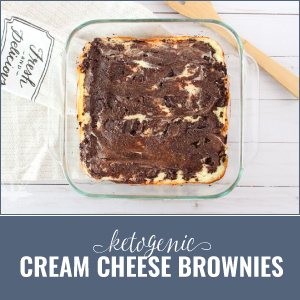 What a great blog too!